At IFA (Internationale Funkaustellung) in Berlin this year, we had the chance to marvel at many of the new and exciting techs and gadgets. 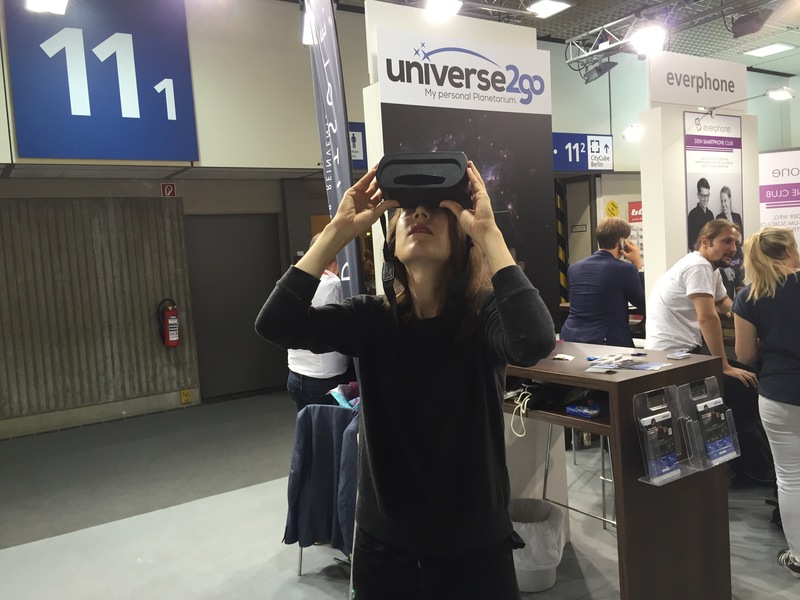 Of special interest were VR glasses and headsets – with such a topic, Universe2go cannot be left out. Your journey through the cosmos with the star viewer is not only possible in VR mode, but also presents the possibility to complement the real stars with Augmented Reality – a one-of-a-kind experience. 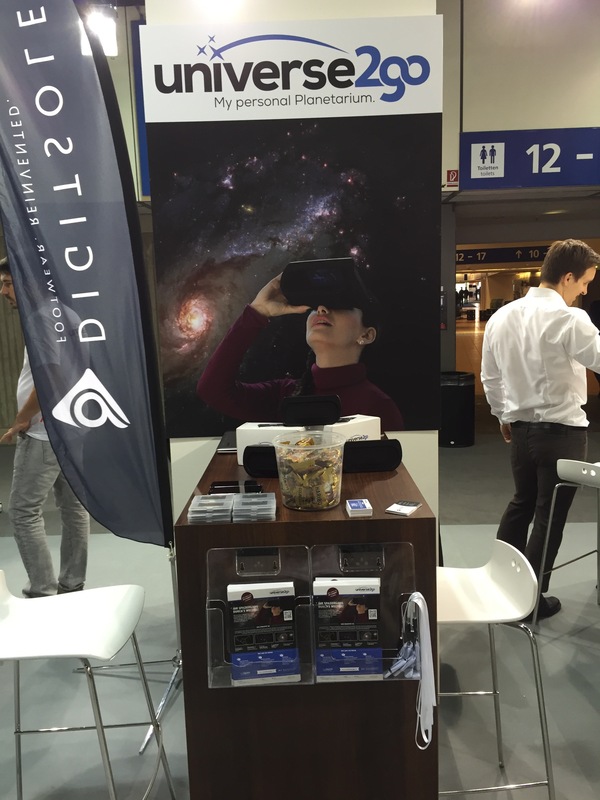 Many visitors, who stopped by our stand between the 2nd and 7th of September at IFA, were thrilled about the idea of knowing immediately, which stars in the sky they were looking at. Universe2go makes this possible, by augmented your real view of the night sky with a digital picture and plenty of background information. Even the integrated audio guide provided visitors with interesting facts and figures about planets, galaxies and Greek mythology. 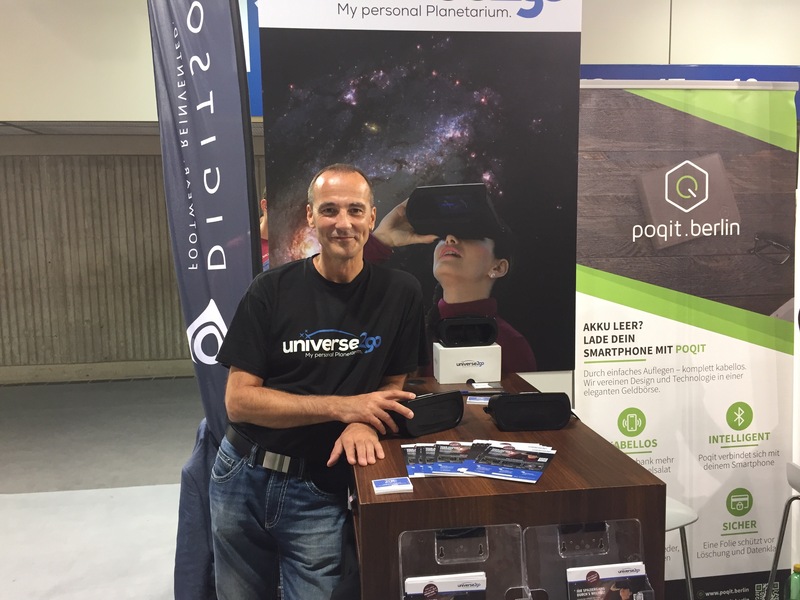 Aside from interviews on TV and in radio, a highlight for us was from the inventor of Universe2go, Dr. Martin Neumann and his presentation at the IFA TechWatch Forum on the topic of smart glasses. During the weekdays we had a visit from school classes, which wanted to see the newest tech trends and try out the universe to go. 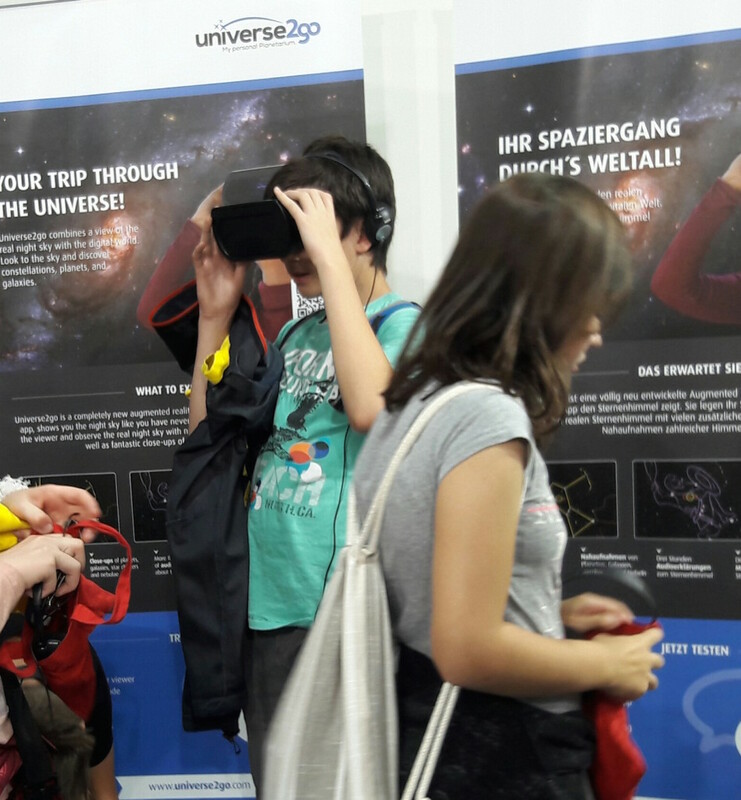 They were most excited about seeing the star viewer put to use during class, which is why we started Universe2rent – our program to bring the Universe in augmented reality format to students in Germany. A trip to IFA in Berlin this year was also well worth it. We are excited to be there again in 2017!